Help buy young carers a minibus, the key to providing 1,000 children with transformational outreach support services. Jaiden, aged 12, is one of the least selfish children one could ever meet. He dedicates much of his life to caring for his sick mother. With little time to be a carefree child, Jaiden is just one of the many young carers who are left isolated and friendless because of their caring responsibilities. Living in a deprived area of London, his mum said she does not want him to go out to the park alone, and due to her disability, she can’t take him herself. At the Honeypot Children’s Charity, the National Young Carers Organisation, we strongly believe that every child has a right to their one chance at childhood. That’s why Honeypot provides young carers with the outreach services that breaks the isolation of caring for a sick person, and enables young carers to mix in a community of other children who share the common bond of caring. Honeypot provides regular residential respite breaks and an outreach support network for young carers, from the ages of 5 all the way up to the end of their 12th Birthday. Our service has become increasingly vital to isolated and vulnerable children in London, for whom support services are currently at the lowest level due to a funding crisis. Eight of the top 10 councils with the biggest funding cuts to children’s services are in London, with Westminster's slashing of funding per child the worst in the country - 52% since 2010. 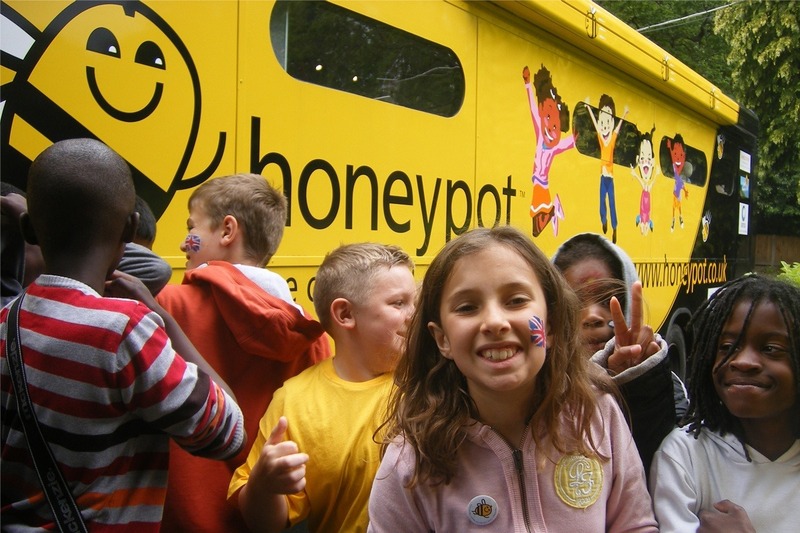 As a result, Honeypot’s services, which receive no Government funding, have never been in greater demand from thousands of children. To meet the need of these vulnerable children, Honeypot greatly needs your help. With your help, Honeypot is committed to transforming the outreach service we provide to young carers. We intend to reach 1,000 young carers over the next 12 months by running outreach engagement days. Where young carers are transported in our mini bus to local centres in their communities. Honeypot needs your help to purchase the mini-bus, upon which the whole new service rests. As well as providing a greatly needed relief from the duties and responsibilities of caring, and bringing young carers together to make lasting friendships, Honeypot staff also provide fun, enriching activities; team games, drama & music workshops, arts & crafts, sports tasters, and skills-building activities. Please donate to provide transport to young carers and give them a break from their caring responsibilities at home. You’ll also free pressure from parents of young carers. Feedback from parents told us those who are disabled or suffer from chronic or mental illness, find it impossibly difficult to transport their children anywhere and so the new locally run, bussed in Honeypot outreach services are the answer to these parents difficulties. Your donation will enable Honeypot to support 1,000 young carers with ongoing outreach services in their local communities. Together, we need to raise £45,000 to purchase a brand-new minibus, which includes the costs of having the minibus kitted and equipped for the children. This campaign will run for the next 120 days. We are already speaking to referral agents; young carers groups and schools to arrange these outreach sessions in the coming year. The enthusiasm and eagerness for this service is very clear. Should the campaign raise the funds early, we will buy the new minibus at the earliest opportunity and start outreach sessions almost immediately. Once the outreach activities are running, we’ll measure the impact they’re having with feedback and questionnaires from the referral agents, children and their families, so we can make as big a difference as possible to helping these young carers get their childhoods back. Any funds raised over the required amount for the minibus will be used as a contribution towards funding our essential core services for young carers, namely respite breaks and outreach support. Be part of our Network Fundraising by sharing our GoFundMe using the hashtag #HoneypotMinibus to help reach the target!